Fujinon (a division of FujiFilm) is already a major producer of binoculars, broadcast/cinema lenses, and customized precision optics. Parent FujiFilm is also a world leader in the digital camera market. 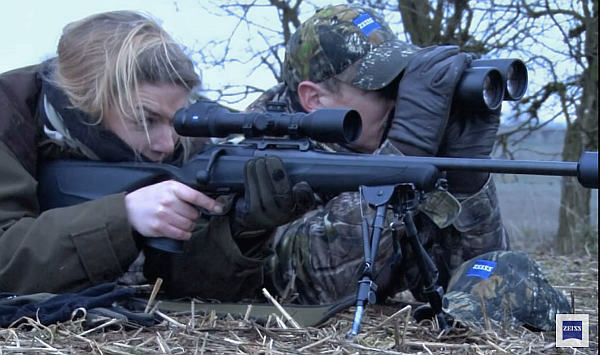 Now the technical expertise of FujiFilm and Fujinon will be applied to a series of lightweight, affordable riflescopes — the new line of Accurion Sport Riflescopes by Fujinon. 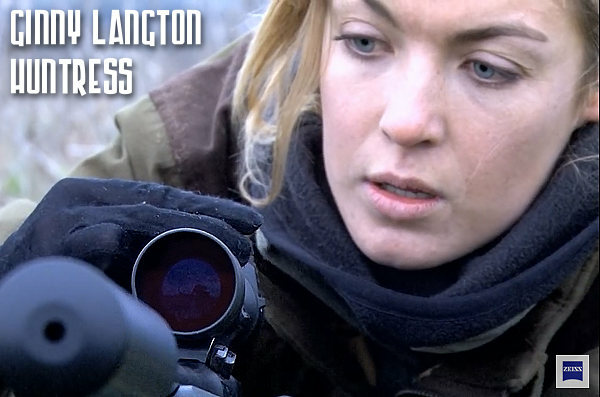 We think it’s good that Fujinon is jumping into the rifle optics market. The more competition the merrier. 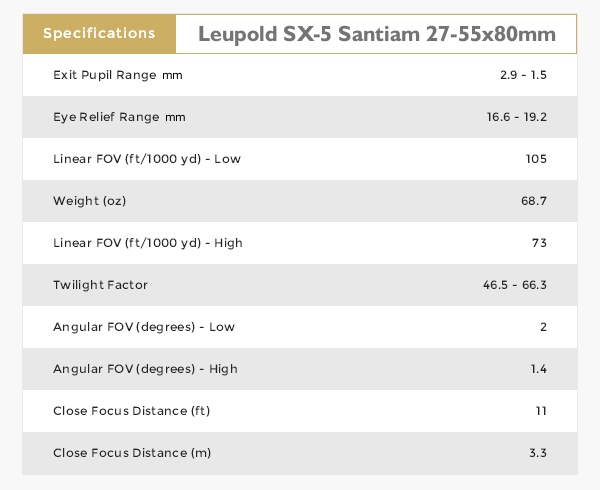 FujiFilm has very high design and engineering capabilities, and we expect the entry of Fujinon into the sport optics market will encourage other scope makers to offer more attractive pricing. 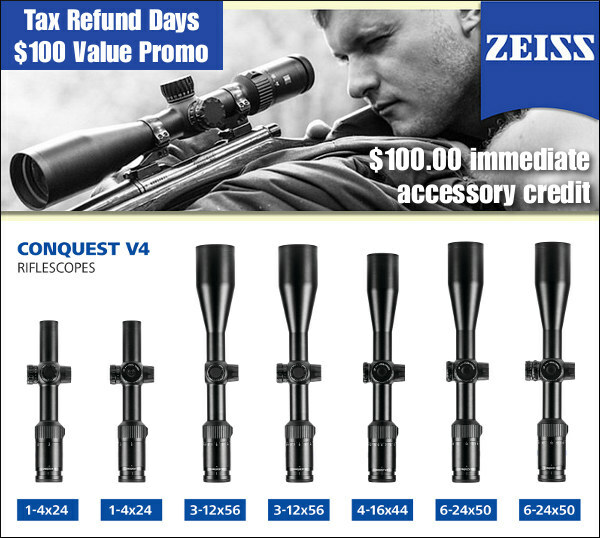 The first series of Accurion scopes will be extremely affordable — the highest magnification option, a 4-12x40mm scope, retails for just $189.99. Watch out Burris, Bushnell, Leupold, Nikon, and Weaver. There are four new Accurion scopes, all featuring 1″ main tubes, 1/4-MOA click values, and multi-coated optics with 95% light transmission. The notable quality of all Accurion scopes is light weight — they weigh up to 10% less than other leading brands. 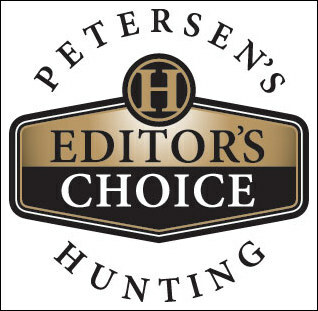 That’s good news for hunters. 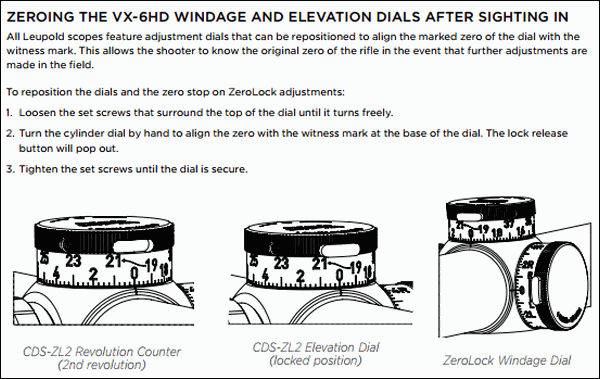 Two reticle types will be offered initially: Standard Plex or BDC (bullet drop compensation). 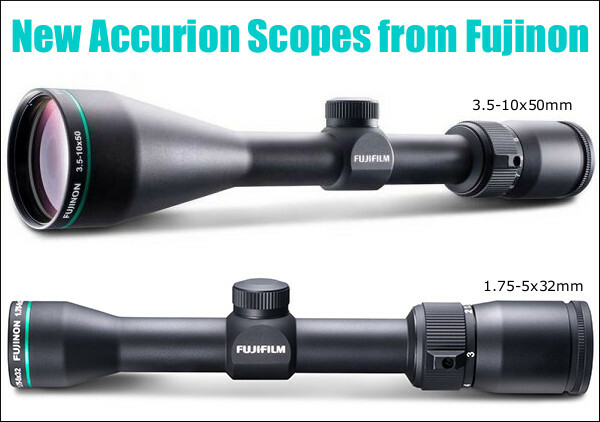 All Accurion scopes are backed by FujiFilm’s Limited Lifetime Warranty. CLICK HERE for detailed Specifications. 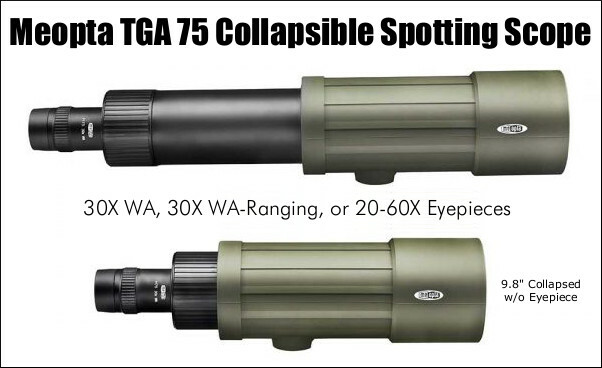 Share the post "Fujinon Enters Riflescope Market with New Accurion Scopes"
At the Nightforce booth at SHOT Show, we got our hands on the GEN 2 15-55x52mm Comp Scope. 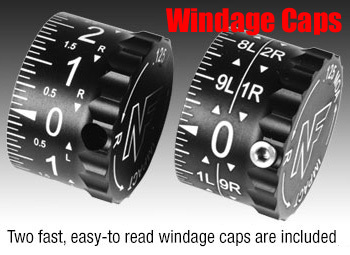 It features large turret knobs with high-contrast numbers. 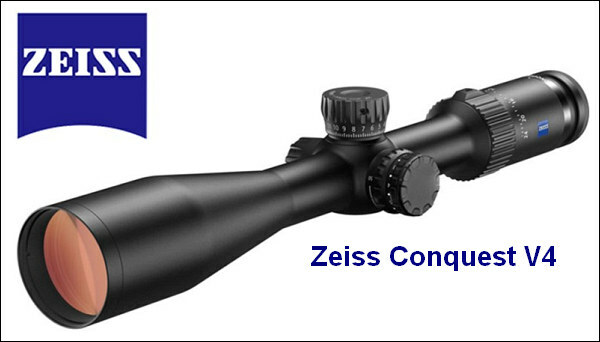 The 15-55 Comp still has the great HD glass from the first generation model, but now it offers 10 MOA per revolution, plus zero-stop. There are now FOUR reticle options: DDR-2, FCR-1, CTR-2, and CTR-3. 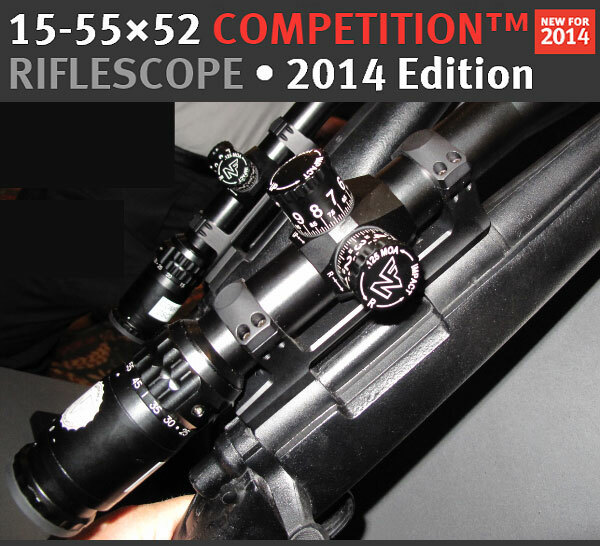 The 15-55 Comp weighs 27.87 ounces, making it 24% lighter than Nightforce’s 12-42x56mm Benchrest scope. 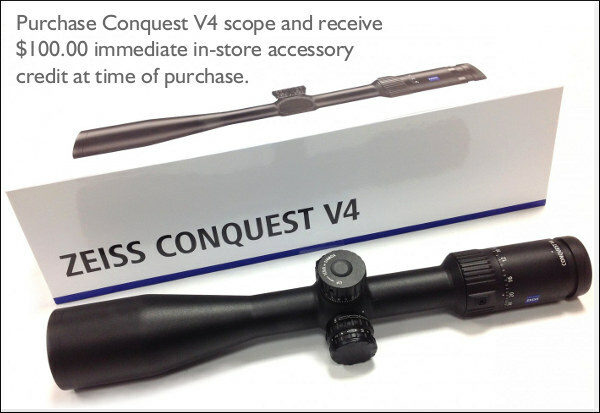 The latest 15-55x52mm Comp scope retails for about $2355.00. Black is the only color option. The big news at the Nightforce booth was the SHV, a new medium-magnification, second-focal plane scope for hunters and varminters. 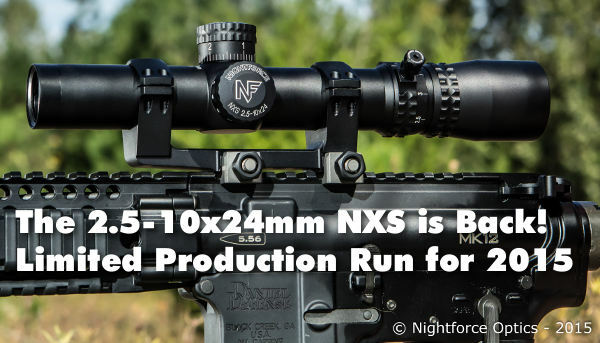 Described as “the most affordable Nightforce riflescope [offered] to date”, the all-new 4-14x56mm SHV will sell for $995.00 (non-illuminated model) or $1195.00 with an illuminated reticle. 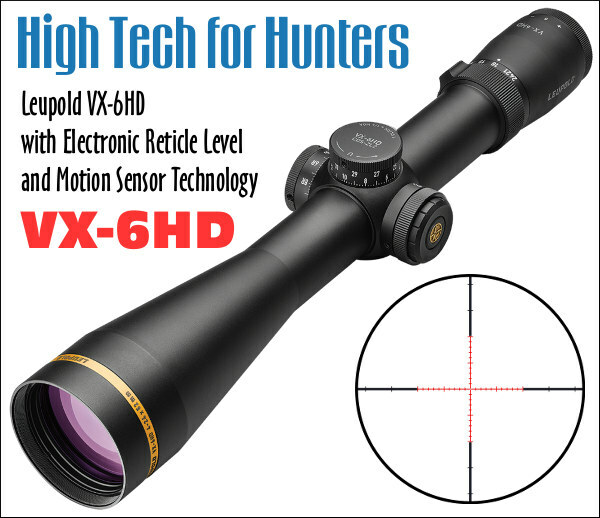 The “SHV” stands for ShooterHunterVarminter™, reflecting this scope’s versatility — it can be used for a wide variety of applications. The SHV has plenty of travel for long-range use: 100 MOA of elevation adjustment and 70 MOA of horizontal (windage) travel. 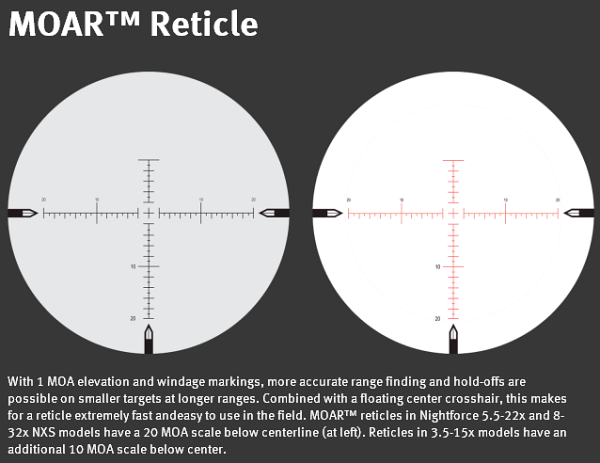 Two reticle options will initially be offered, the basic IHR (Int’l Hunting Reticle) with floating center cross-hair, and the popular MOAR reticle with 1-MOA vertical and horizontal hash marks. 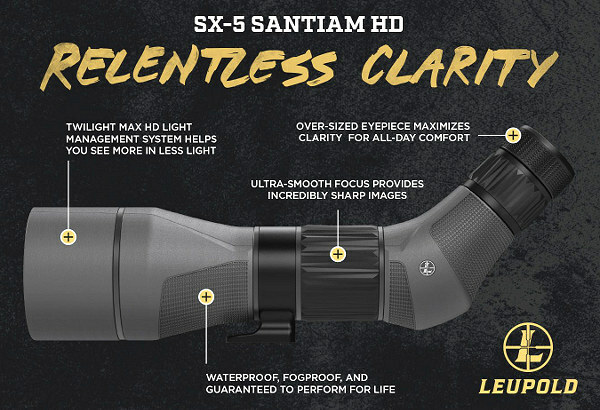 The 4-14x56mm SHV weighs 26.8 oz. for the basic version, and 28.5 oz. for the illuminated model. CLICK HERE for 2014 Nightforce Catalog. 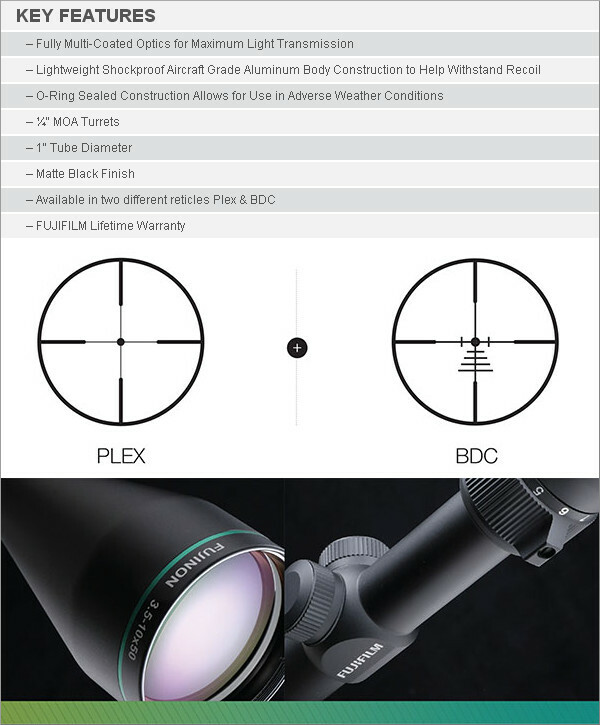 Share the post "Nightforce Unveils $995.00 SHV Scope and GEN 2 Comp Scope"
Nightforce Optics has introduced a new medium-magnification, second-focal plane scope for hunters and tactical shooters. 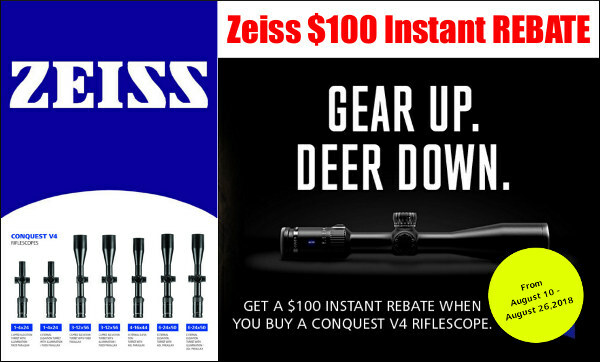 Described as “the most affordable Nightforce riflescope [offered] to date”, the all-new 4-14x56mm SHV will sell for $995.00 (non-illuminated model) or $1195.00 with an illuminated reticle. The “SHV” stands for ShooterHunterVarminter™, reflecting this scope’s versatility — it can be used for a wide variety of applications. The SHV has plenty of travel for long-range use: 100 MOA of elevation adjustment and 70 MOA of horizontal (windage) travel. 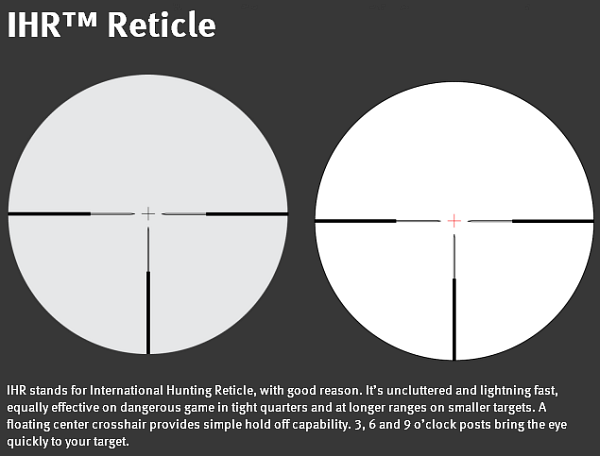 Two reticle options will initially be offered, the basic IHR (Int’l Hunting Reticle) with floating center cross-hair, and the popular MOAR reticle with 1-MOA vertical and horizontal hash marks. 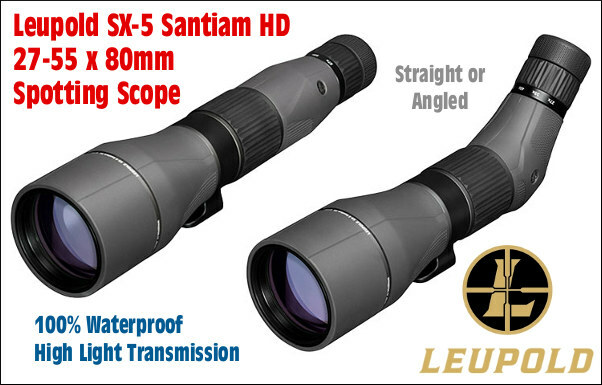 The 4-14x56mm SHV weighs 26.8 oz. for the basic version, and 28.5 oz. for the illuminated model. Full specifications are listed below. CLICK HERE for 2014 Nightforce Catalog. 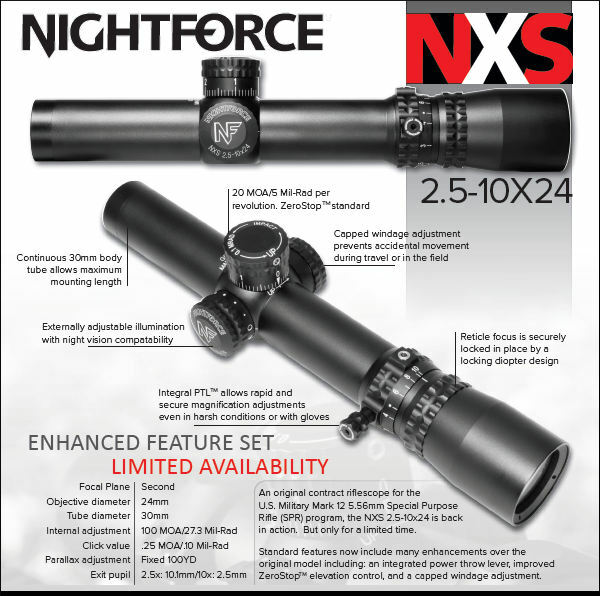 Share the post "New $995.00 Nightforce SHV 4-14x56mm Scope"